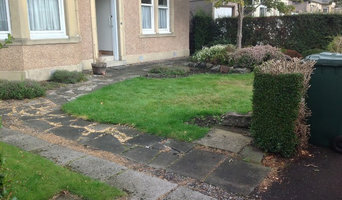 Edinburgh's Premier Driveway Paving & Landscaping specialists. We are a family run business & we have been for over 25 years! We have over 30 years of experience, We may not be the cheapest but I can guarantee you won’t find much better! Magnificent Driveways and Patios from your local Specialist Installer Welcome to Town & Country Paving & Driveways Ltd Our aim is to achieve total customer satisfaction We are the specialist installers for pattern imprinted concrete driveways and patios in Scotland. We use local suppliers, local labour and apply the personal touch to every project we undertake. We operate within central Scotland. Established in 2005, predominantly working throughout West Lothian & Central Scotland in the building, groundwork’s, construction and utility services area. Dealing with both commercial and domestic clients. We carry out an extensive range of services from being a main contractor for large utility works through to driveways and groundwork jobs for residential clients. We are also involved in civil engineering works and both large and small building works from new builds to extensions. Driveway professionals can install, replace and repair concrete driveways, asphalt driveways, exposed aggregate driveways and other paved areas in various materials. 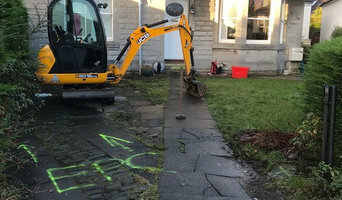 Before work begins on a new or replacement driveway or other paved area, a Heriot, Scottish Borders, UK driveway professional will assess your property’s grade, soil and drainage. They will then help you choose from a range of poured surfaces and driveway pavers, based on your home’s style and environment. Next, they will prepare the site and operate any heavy machinery needed to build the driveway or move pavers – however, construction may not be able to happen until after other contractors have finished. Find a driveway and paving contractor on Houzz. Narrow your search in the Professionals section of the website to Heriot, Scottish Borders, UK Driveways. 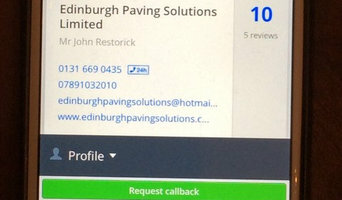 You may also look through Heriot, Scottish Borders, UK photos to find examples of driveways and paving that you like, then contact the paving professional or contractor who worked on them.